Can an Onion Stop the Flu? - Begin Prepping Now!! Can an Onion Stop the Flu? Can an Onion Stop the Flu? In my world I can say yes. I have set onions in each bedroom and each main room in my house for several years. So have people I know. My mother-in-law heard this tip on the Dr.Oz Show years ago. The onion is a sponge that absorbs germs and viruses from the air. I know how kooky it sounds, but I have seen a dramatic difference in the amounts of illness in homes that do this simple technique. People have been using onion poultices to draw sickness out of the body. 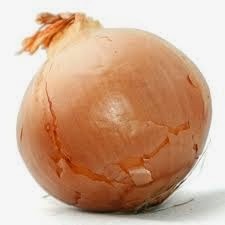 My grandma used to mash up onions and apply it to your chest if you had an infection in your chest. The onions draw the infection out, and the aroma clears the sinuses for sure! Set an onion on each nightstand by the bed. If filters the crud out as you sleep. When an onion starts to get soft and smell, it is full of germs, pitch it. I have had onions around my house all winter for years. Some winters, I will go all the whole season and only one onion gets soft. Other years, I am replacing them almost weekly. The bedroom ones and the one on the table by the TV remotes are the ones that get soft first in our house. These are the rooms that we sit in the most. I know this sounds silly, but if you can spend $10 a season on some onions, to prevent colds from incubating in your home’s air, why not? If setting an onion on your desk at work might prevent you from getting the office bug of the week, why not? If setting an onion on your kids’ nightstand will protect them from the crud de jour at school, why not try? Set some onions around your house, and prevent the flu. JUST DO IT! By reading your article, I believe all root based plants have great health benefits whether it is a cold, disease, ailments, deficiencies in our body. It can be onions, garlic, potatoes, basil, etc. Why take a pill that contains chemicals that we do not know of from pharmaceuticals when we have access to natural medications coming from nature? At one moment these nature medicines are there for us to take then in another moment, they will make an excuse by making it illegal. We control our own bodies and we have the right to cure ourselves with natural ingredients. I am not sure about other root veggies, but I have used onions…and they work. Onions have been used to ward off nasty germs since before people knew what germs were! I approve of using natural remedies whenever possible. I don’t like the unintended consequences of many pharma. Wow. I had no idea onions could do so much for us. 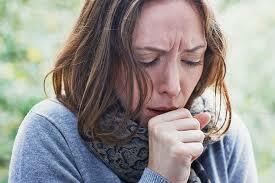 This is a great preventative measure for cold and flu season. It’s amazing how something so small like an onion can do so much! It is soo true! There are many cures in nature that science can’t explain, but they still work! I hope you give it a try! I’d love to know what you think. I love this! I try to use alternative remedies whenever possible. I have heard of this before. I went to an herbalist a couple of years ago, he had these cut onions in dishes in the corners of his shop. I had to ask! He told me similar facts that you are sharing here. I love that we can take care of our bodies and prevent disease with an onion! Thank you for your time in producing this article! I’m glad to here your story. It always good to get confirmation. I really love simple fixes for a healthier family! What is the Best Way to Ripen Pears? © 2019 Begin Prepping Now!!. All rights reserved.